My friend and I have this ongoing joke that it would be totally badass to have poison rings. Of course, we don’t actually want to poison people, but it would be really cool to mess with people. What do I mean? Fill a poison ring with cool aid and when you friend isn’t looking add it to their water. It will change colors out of nowhere. Bahaha! April fools is coming up and you could do some fun things with one of these. 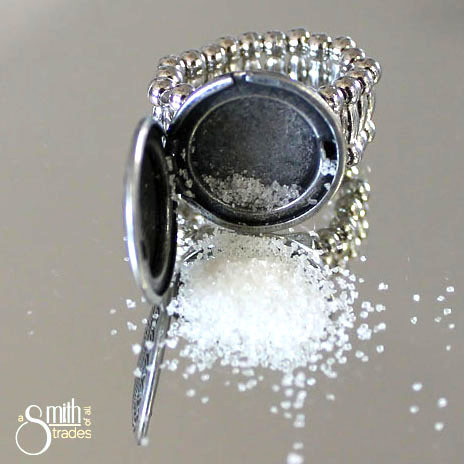 Making your own poison ring is pretty easy — buy a stretchy ring, a few lockets and some E6000 from Michaels and you are ready to go. First up, you need to pry the bail off of the locket using a pair of pliers. Once that’s done, place a dollop of E6000 onto the base of the stretchy ring. 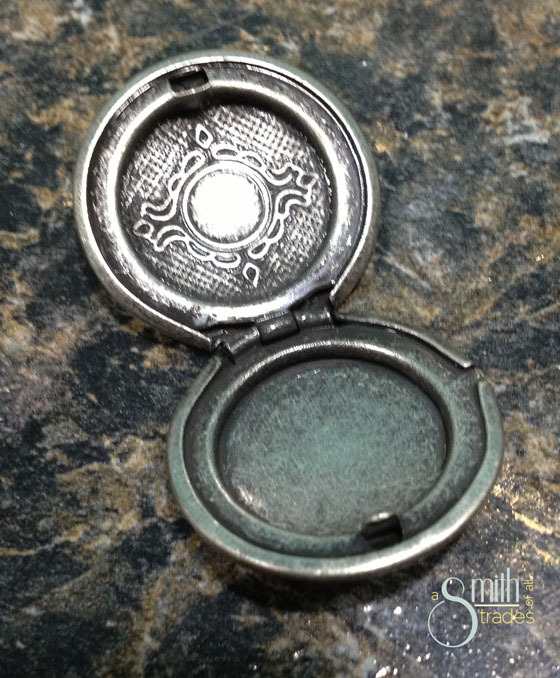 Squash the locket on top and set it aside to dry. 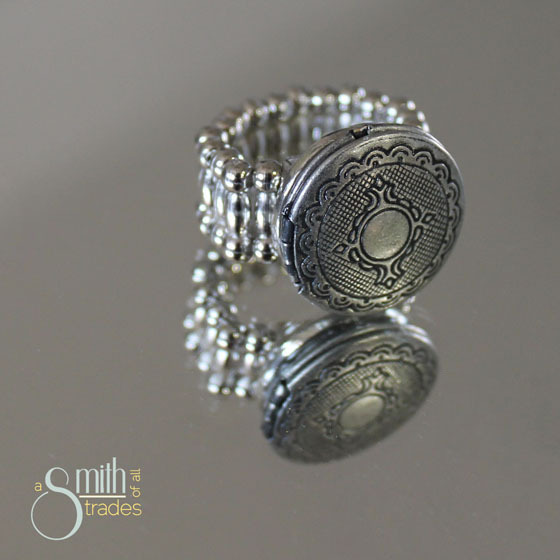 If your locket moves a bit, you can secure it with a little tape until it dries. All dry — try it on for size! Even if you don’t want to use it to prank your friends or simply freak people out, you can fold up little messages and place them in the locket. Or, use the locket as a locket! Doesn’t hurt that the ring is sorta pretty, too. Don’t worry, Ben — your locket is a bit less scrolly and more masculine. So cute. I would always make sure its a colored powder though only because sugar and sweet and low look like… well ya know. illegal stuff.